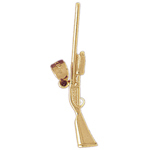 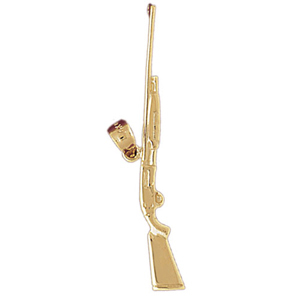 For a whimsical addition to any firearm jewelry collection this 14k gold shot gun pendant is breathtaking. 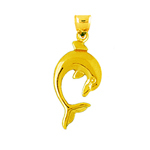 Pendant is crafted out of polish finish with open back design; it measures 1 7/8 " wide by 1/4 " high and weighs approximately 2.6 gram(s). Highly recommended to be worn as a necklace. 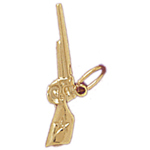 • Width: 47MM - 1 7/8 "
• Height: 6MM - 1/4 "